Seeking Applications for 2017-2018 AmeriCorps team members! 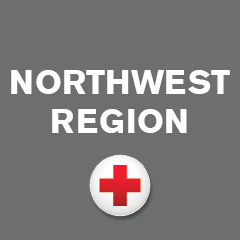 The American Red Cross is currently accepting applications for our 2017-2018 AmeriCorps team throughout the Northwest Region! AmeriCorps is a great opportunity to serve your community, build professional skills and develop your network in a positive setting. We are seeking enthusiastic individuals, passionate about empowering people to prepare for and recover from disasters, to serve as full-time AmeriCorps Team members from September 1, 2017 through July 15, 2018. Deliver disaster preparedness education presentations in a variety of formats to a variety of audiences; Recruit, train, develop, and support disaster preparedness volunteers in various communities throughout Washington State; Perform outreach, capacity building, and support coordination of Homefire Campaign events. Deliver services, programs, and educational presentations to audiences within our Washington military community; to better prepare service members and their families during times of emergencies and deployments. The member must be comfortable with presenting to youth audiences. Programs include disaster preparedness, first aid and CPR training, resiliency training courses and information on Red Cross emergency communications services. This position may also perform outreach, capacity building, and support coordination of Homefire Campaign events. Assist with the development of strategies and processes related to direct recruitment, engagement, retention and recognition of Red Cross volunteers; Build capacity to provide sustainable volunteer driven programs by developing volunteer leaders and recruiting and training volunteer support teams; Conduct informational presentations, volunteer interviews, and volunteer records management in order to optimize successful recruitment and retention; Deliver disaster preparedness education presentations in a variety of formats to a variety of audiences and must be comfortable with presenting to youth audiences; May also perform outreach, capacity building, and support coordination of Homefire Campaign events. For more information, please contact Nancy.Watchie@redcross.org. PLEASE NOTE: AmeriCorps positions are contingent upon funding.